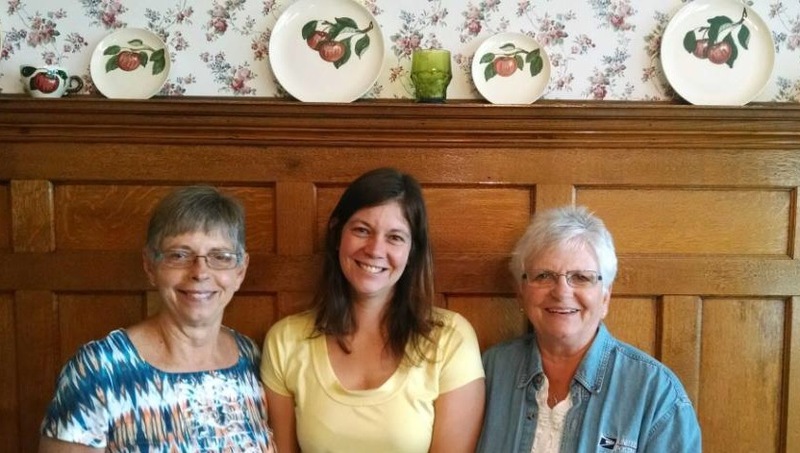 Today I got a visit from my mom and two of her cousins Suzan and Diane. They came all the way from Dike to bless us with a delicious meal and dessert! Unfortunately Tim was not able to be here due to work so while he is sorry that he missed them, he does appreciate their thoughtfulness…and the food! As long as I can remember…these women, mom included, have been crazy! Haha! In a good way of course and these are only three out of how many Paige’s?! They truly are sincere and simply say things the way they are. All of the Paige reunions that were held at great grandpa Virgil’s farm, always came with a lot of laughter! I specifically remember shooting glances at my sister and brother Michelle and Ryan along with our cousin Julie indicating that there was something wrong with our family. Ha! All of us younger cousins would eventually sneak off to the basement where we engaged in some pool or played with Patty, great grandpa’s Doberman Pincher. Oh, and I also have to admit, it was weird seeing Skyler have the same look on her face that I did when growing up because I know exactly what she is thinking! The food was absolutely delicious! So thank you again Suzan and Diane for thinking of us and going out of your way to provide us with a meal! I must say though…the one disturbing thing I did note from our visit today…I think those ladies handled all the stairs in my house a lot better than I did!! Haha. Thank you again so much for taking the time to stop by. 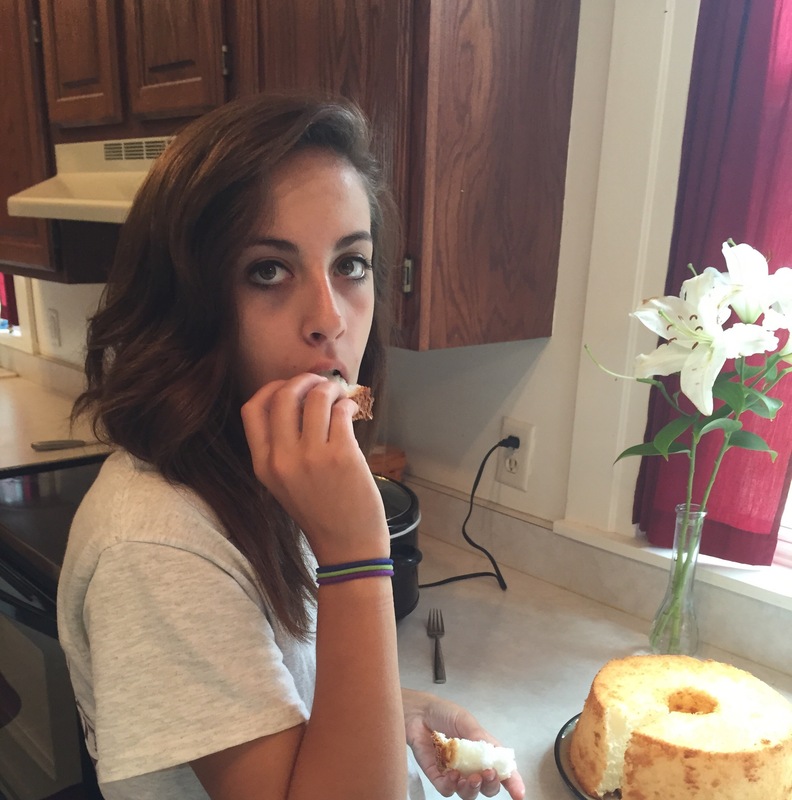 And Skyler really liked the angel food cake…oh wait, but it wasn’t as good as grandma Ruth’s…my third dedicated blog reader 😉 Tim and I are blessed to have such amazing family and friends! Wouldn’t you just love to be a fly on the wall in our house?! Becky, it was so nice visiting with you and meeting your children. We did the steps but did you hear our knees? lol You keep writing and we appreciate your honesty. You and your family will continue to be in our prayers. Keep looking up!! I call 5th!! Paige cousins are the greatest! !